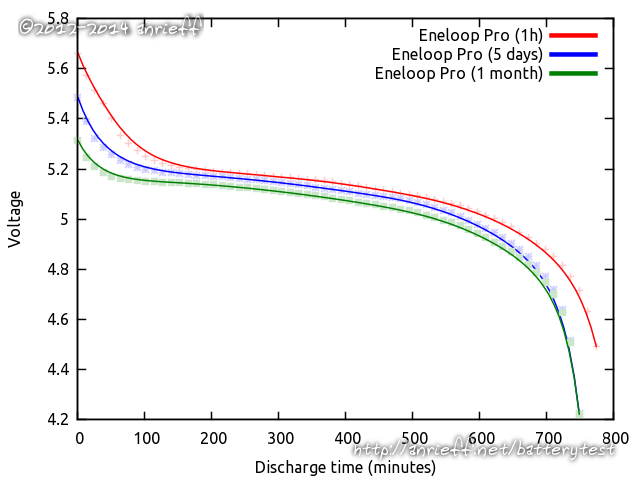 These eneloop cell represent their higher-end class of high-capacity rechargeables, dubbed Eneloop Pro. The higher capacity comes with a reduction in capacity retention (75% kept after an year), and lower advertised cycle life. 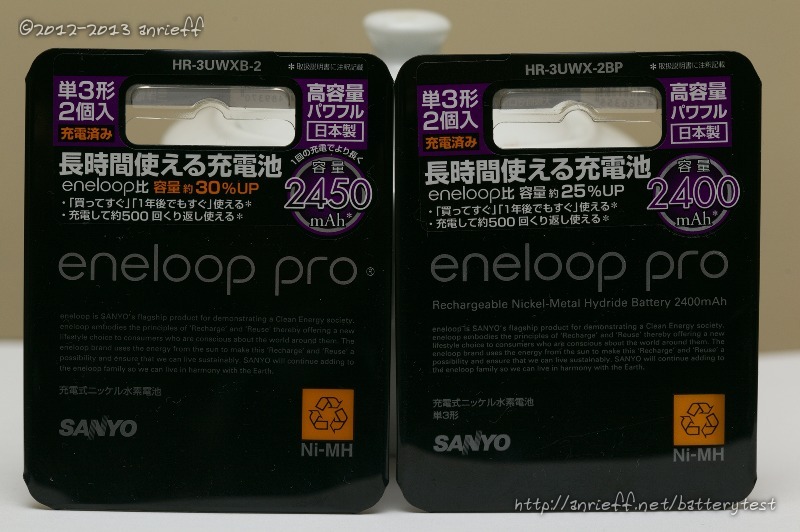 The batteries were bought during a work trip to Japan, and due to negligence I actually bought two pairs of slightly different models: the older ones, manufactures Jul 2012, are HR-3UWX-2BP, with "guaranteed 2400 mAh", while the newer, from Sept 2012, are HR-3UWXB-2, boasting 50 mAh more. All these totalled at ¥1560, which, in February 2013 money came about €12.70. Sadly, the discharge happens in quadruples, so the performance of the four is limited by the weaker cells (so this test is slightly flawed). The factory charge came out as 1630 mAh. After forming, they showed 2260 mAh, and that dropped to 2180 in the 5-day test. 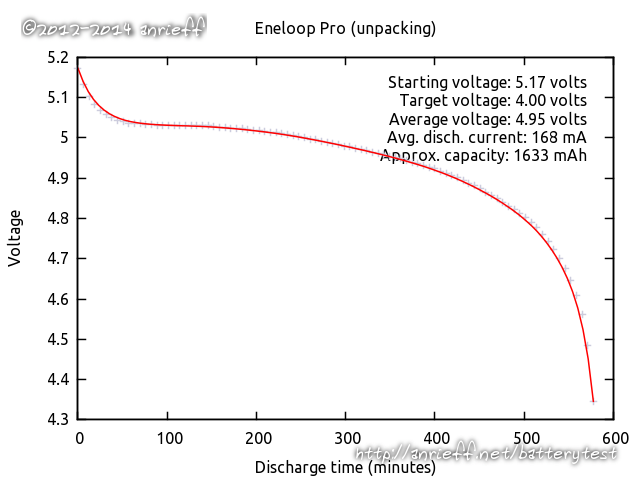 After a month of waiting, the voltage of the package was only slightly lower, at 5.38/5.37 V, and their capacity was still 2160, around 5% self-discharge. The conclusion is that, at least in the timescale of one month, the higher self-discharge of the Pro variants doesn't have a noteable impact.